In 2018, CaliBurger will be rolling out facial-recognition kiosks inside their restaurants worldwide. These kiosks are meant to make it faster and easier for customers to order their meal. Once a loyalty-account is created, the consumer can log into their profile by smiling at the camera. Then, they can use the touch screen display to create and pay for their order (or simply re-order a past creation!). To make the process even quicker, the burger chain plans to eliminate the need for credit card swipes by introducing face-based payments sometime next year. Traveling can be a mega hassle. After a couple hours crammed on a crowded plane, the last thing you want to do is wait in line for a rental car. 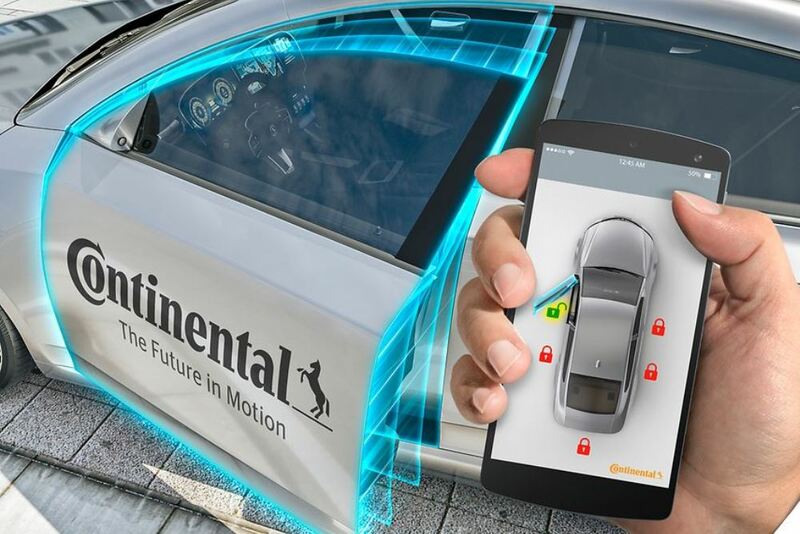 But Avis and Continental have teamed up to create a new mobile app that is about to make renting that brand new Corvette so much easier. The new app will allow users to reserve their rental car, lock/unlock the vehicle, and start the engine directly from their phone. 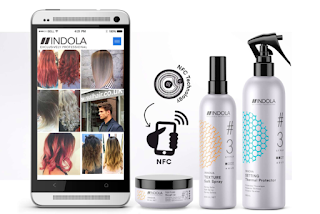 No lines or verbal communication required! Ever see a 263 pound pool table suspended in mid-air? To prove that one drop of Krazy Glue can hold up to 1,000 pounds, the brand set up a pop-up shop in NYC where consumers could see their favorite holiday gifts hanging from the ceiling by just a few drops of glue. Visitors were also able to enter for a chance to win the items by guessing their weight. Definitely not your average holiday shopping experience! Retail shopping can be an unpleasant experience during the holidays. Horrible parking lots, large crowds of people, unbearably long lines... shopping online seems like so much less of a hassle. Fortunately for those in Leicester UK, grooming brand Mo Bro’s is opening a Beard-Stroking pop-up shop to give patrons a chance to de-stress between purchases. So instead of pulling out your hair trying to figure out what to get grandma for Christmas, pull on some stranger’s well-coiffed facial locks. We all know virtual reality takes video gaming to the next level. 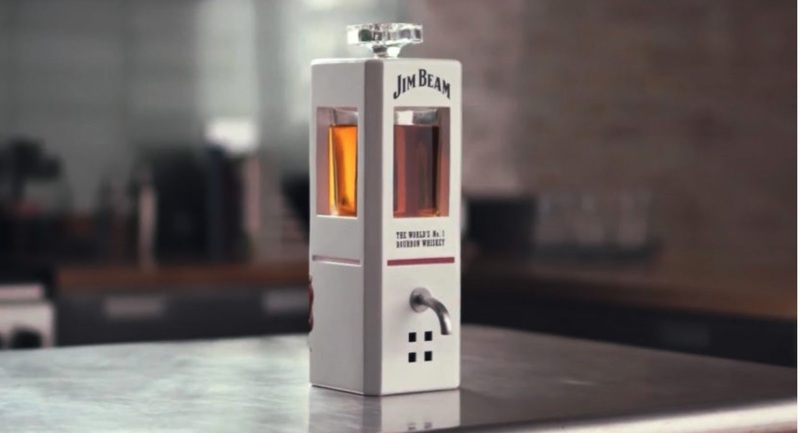 And we've all seen some pretty amazing ways VR is being used to bring brands and products to life. From immersing yourself into a new movie release, to being taken on a tour of a new land, to even renovating and decorating your home. But it's not all fun and games. In the healthcare industry, it's literally changing lives for the better. One of the most interesting examples of this comes from the good folks at Limbic Life and VITALICS, whose mission it is to give people with mobility issues the feeling of freedom. They created a Limbic Chair with accompanying VR experiences that give those otherwise unable to move freely in day to day activities the ability to virtually walk, dance, and even fly. So far the experience has been showing promise, delivering benefits in the rehabilitation process as well as increasing mood and general positivity around patients' challenges. But more than that, it showcases the many ways VR can provide meaningful experiences far beyond entertainment. We've all been there. You're out at some fancy party, you're surrounded by fancy, people that know all sorts of fancy things about their fancy adult beverages. Wouldn't it be great if next time, instead of saying, uuuuh, I'll have what she's having, you can order with authority, or even host a fancy party of your own? Well, now you can with Möet's new Alexa skill, Bottles and Bubbles, created to provide customers with "the perfect champagne experience in their own home." 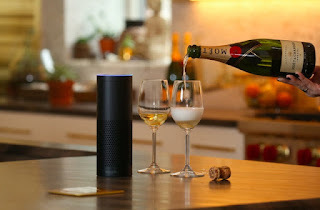 Möet's skill will teach you everything you need to know about champagne, provide a calendar of champagne appropriate events, and even help you be your fanciest self with tips for hosting champagne parties, including ambient playlists to play right from your Alexa. 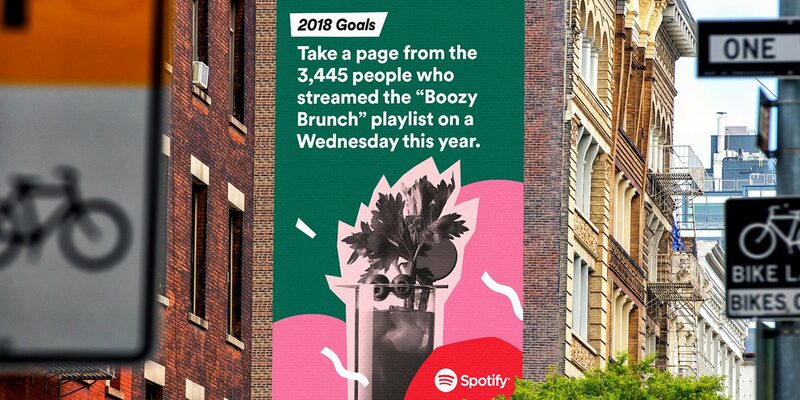 What's great about this example is it shows how even luxury brands can create attainable experiences (and even convert new audiences) without sacrificing the premium-ness of their brand. After all the magic is in the content they produce, which they have complete control over. Alexa is just the (widely popular) delivery mechanism. When thousands of lives hang on the message you're delivering, sometimes words are just not enough. Sometimes images, even videos are not enough. Sometimes, you need to give people an experience that makes them FEEL the importance of your message in order to create change. That's exactly what drove the National Safety Council to create a roving memorial wall featuring the faces of the 22,000 people that died last year due to opioid use etched onto tiny little pills. 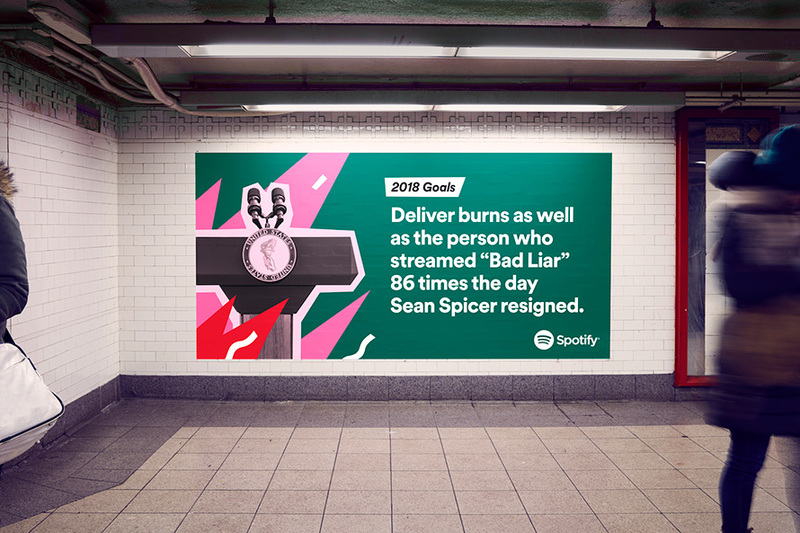 As if that weren't impactful enough, the wall is actually interactive, adding a new face, etched on a new pill every 24 minutes for each new person that dies from opioid use while the wall is on tour. The tour also includes videos of the tragic stories of a variety of people from all walks of life and situations that senselessly died from the exact drugs that were lawfully prescribed to them at one point, showcasing that it can happen to anyone. Staff also are there to answer questions and hand out literature and stickers to use for discussion with your doctor. Most startups' products are only available for purchase online. At first glance, you might think that's no big deal, because, hey, it's almost 2018 and everyone knows no one shops in-store anymore. Except they do. Especially when they're looking at brands and products they've never purchased before and want to see, touch, and try before committing. The problem is, brick and motor stores (pop-up or permanent) are expensive and startups just don't have the capital (yet) to afford it. Until now . . .
Simon has launched the first-ever scalable retail space, called The Edit, intended to be a rotating store from for startups to give costumers a first-hand experience with their brand and products. 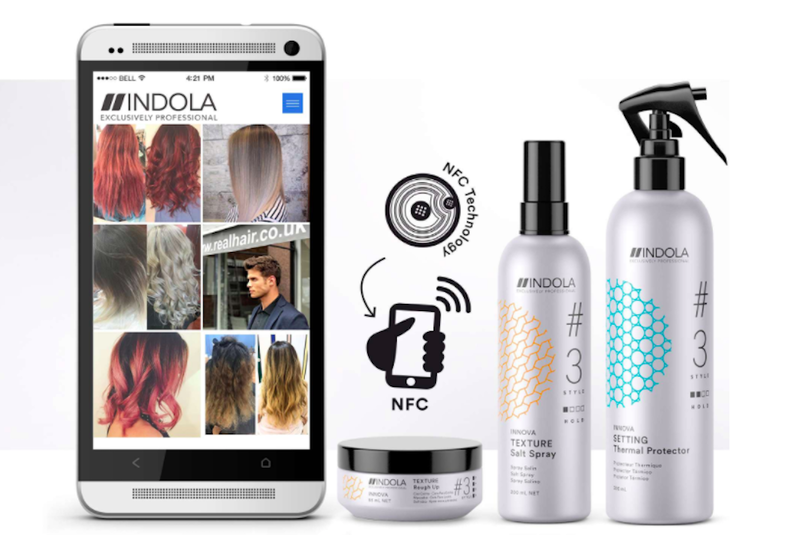 Simon will even work with startups to execute everything they need for a fully working retail space, including module fixtures, digital media display, and even brand ambassador staffing. 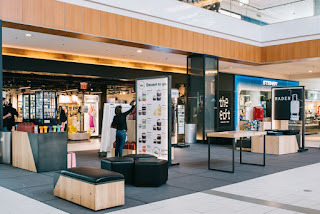 The first (of hopefully many) is located at The Roosevelt Field Mall and will feature startup brands from beauty to food such as Skinnydip London, Winky Lux, Jars by Dani and more. While it's always great to see a big business, like a National chain of malls, help out the little guys, this move also greatly benefits Simon as they look for ways to make malls relevant to the mall-adversed Millennials and Gen Z'ers. 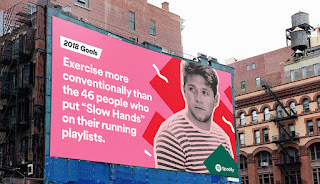 Typically, your Spotify listening experience is a personal and private one. After all, you''d never want anyone to know you listened to every Chipmunk's Christmas song made over 86 times so far this holiday season. Or what songs are on your "Dedicated to my crush" playlist. 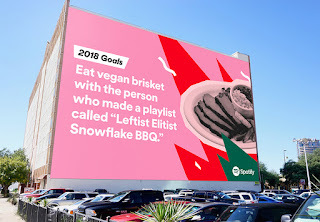 Or, you know, the fact that you even have a playlist for that to begin with. Well, Spotify is outting your weird listening habits (anonymously, thankfully) in the form of humorous global billboards meant to inspire users' 2018 resolutions. This is a perfect example of how brands can use their endless amounts of consumer data in fun and creative ways their customers will enjoy . . . far more than creepy and annoying ad re-targeting. Sometimes by finding a niche market, we really expose an under-serviced segment of consumers. According to the CDC, there are nearly 4 million babies born each year. At one time, pregnant women were thought to be delicate flowers that had to "take it easy." But that stereotype is long gone. Now being pregnant doesn't have to completely change your lifestyle. You can work, go to the gym, party (sans alcohol), swim, it's all good. And sure, there are lots of prenatal yoga classes, but sometimes you just need to work up a sweat. Enter FPC, a new gym that has created challenging classes designed for pregnant woman who want to move. FPC saw this under-served audience and is now on the forefront of changing the workout experience for millions of women. 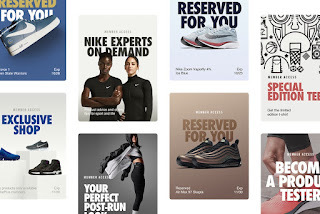 Nike already has an extensive offering of apps delivering a variety experiences for a variety of needs. There's an app for sneaker lovers, an app for runners, an app that tracks key metrics to ensure optimal training levels, not to mention apps for a number of Nike's athletes. Nike is now offering NikePlus Unlocks, an app that uses a users buying history, activities, and feedback to curate personalized recommendations. Users can also talk to an expert at any time. So if you are running your first marathon, NikePlus Unlocks connects you with a seasoned marathon runner who can advise a user on the proper gear and more. Nike continues to find ways to enhance not just their customer's experience, but their lives by helping them to be their best. 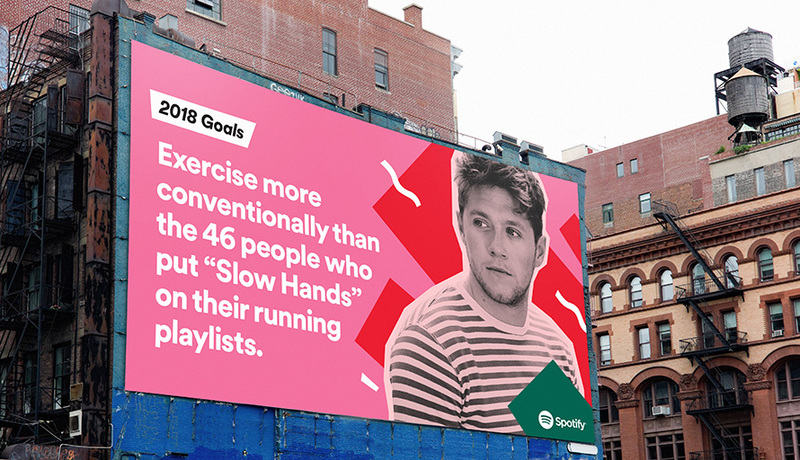 It's creating interactions like NikePlus Unlocks that continues to make them less of an apparel brand and more of a lifestyle coach. Calling all Coca-Cola fans! It's a tradition in England for the Holiday Coke truck to drive around, while calling out 'Holidays Are Coming' and handing out free product. 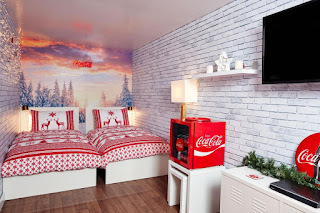 But this year, to build even more excitement, Coke is giving fans a chance to win the ultimate Coke-xperience...a night in a fully decked out Coca-Cola sleeper truck. By adding new ornaments (the sleepover) to the tree (the truck), Coke is reinventing it's holiday tradition into a more immersive experience.